Available in 5 sizes, 125mm, 140mm, 155mm, 175mm and 195mm high. 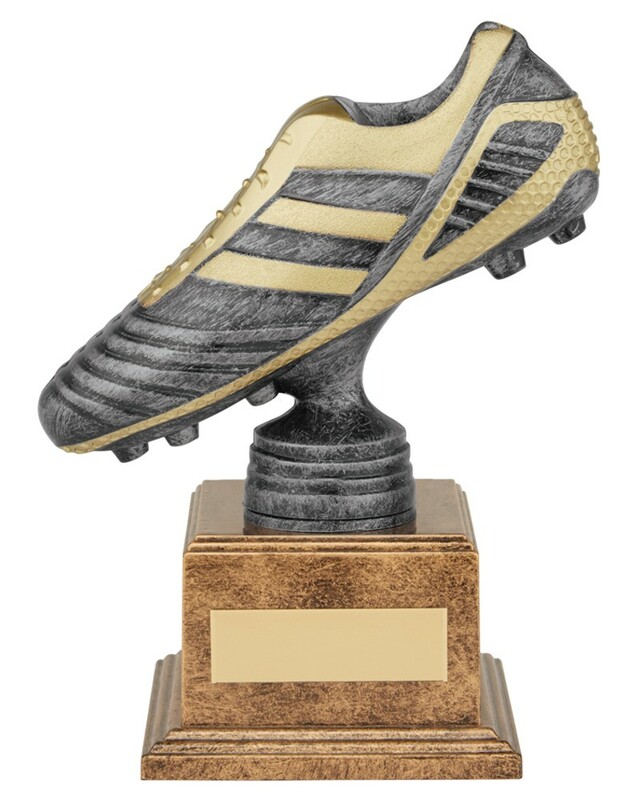 The striker boot is a gun metal finish with gold detail and mounted onto a weighed plastic base. The first two sizes are on a marble base.